I’ve been playing about with paperclay again and am astonished all over again at just how you can mistreat it and still get away with it. Last weekend I went from paperclay slurry to a fired sheet of ceramic in under 8 hours – something impossible with any other clay. 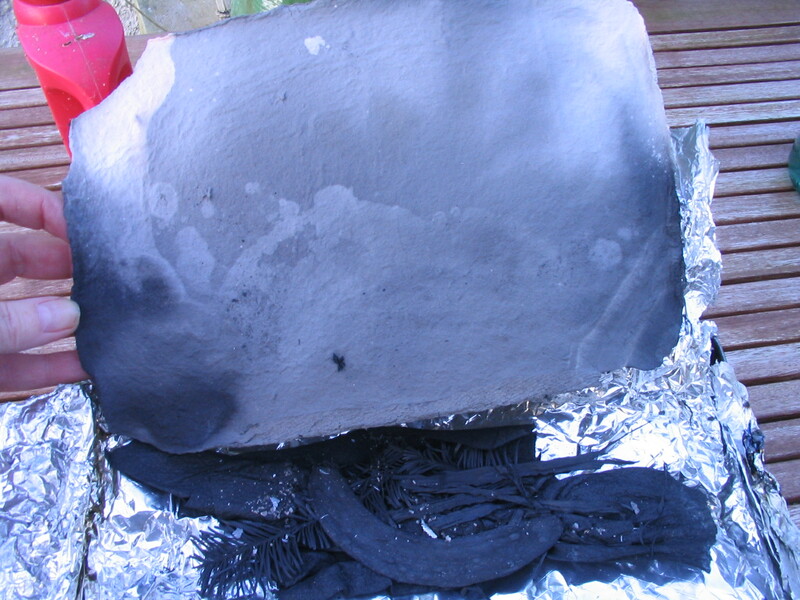 In today’s experiment I took a sheet of paperclay which had previously been biscuit fired at about 1080c. It’s extremely thin and I put it on a double layer of aluminium foil, big enough to wrap round it twice. 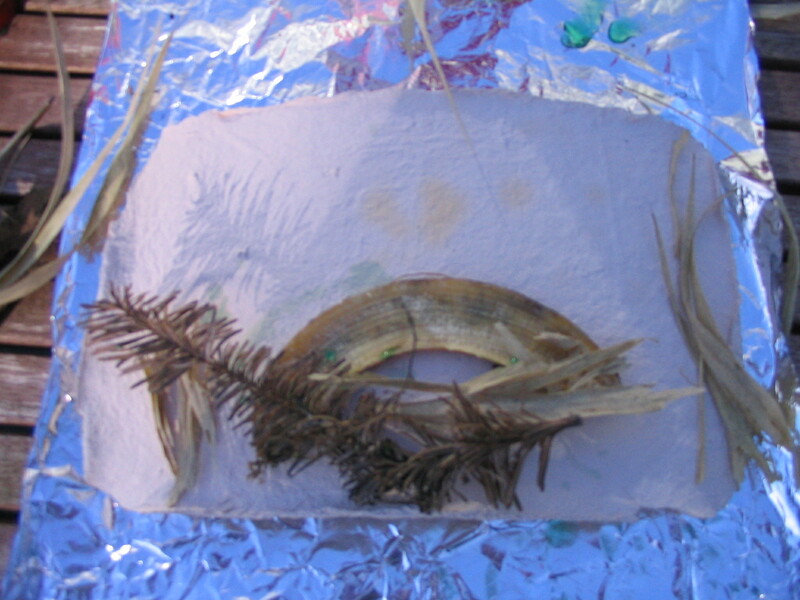 I placed a piece of banana skin, some dried leaves from the garden, and a little dried spruce on the surface. Then I wrapped some sea salt in a piece of kitchen roll, soaked it in tomato plant food (for the traces of copper, iron and zinc), wrapped the whole lot in foil and put it in the wood burning stove for 30 minutes. The foil started to disintegrate so I must have had a temp of about 560c. This was enough to produce a reduction atmosphere and I got striations of grey and black. OK but not very interesting. Take 2: More tomato food, a couple of feathers and a bit of the spruce which had blackened but not burned away completely. Wrapped in foil again, and back into the stove for a further 20 minutes. 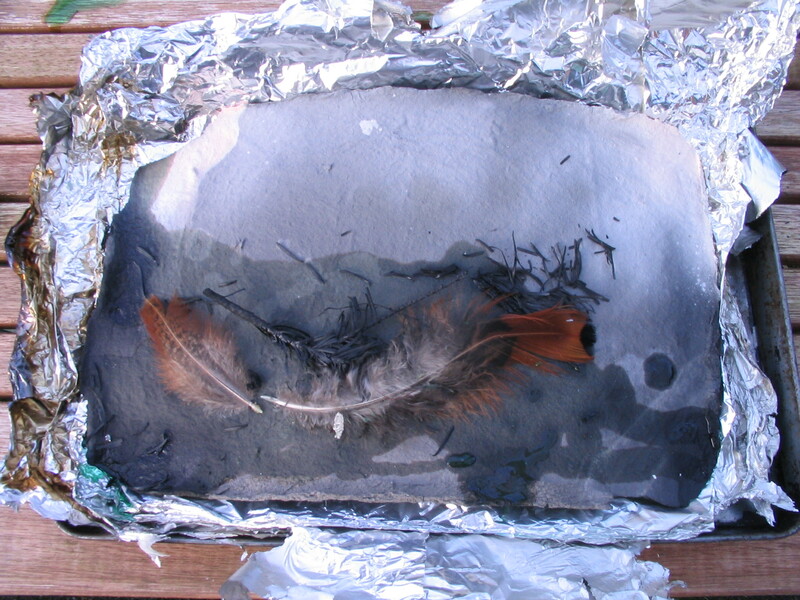 This time the result was better, but the feathers disappeared without trace. It’s certainly a surface worth experimenting with and the next step will be see if egg tempera will hold on the surface and again I’ll use gilding with pure gold leaf as I did in previous experiments with paperclay fired from scratch in the wood burner without previous bisque firing in a conventional kiln. 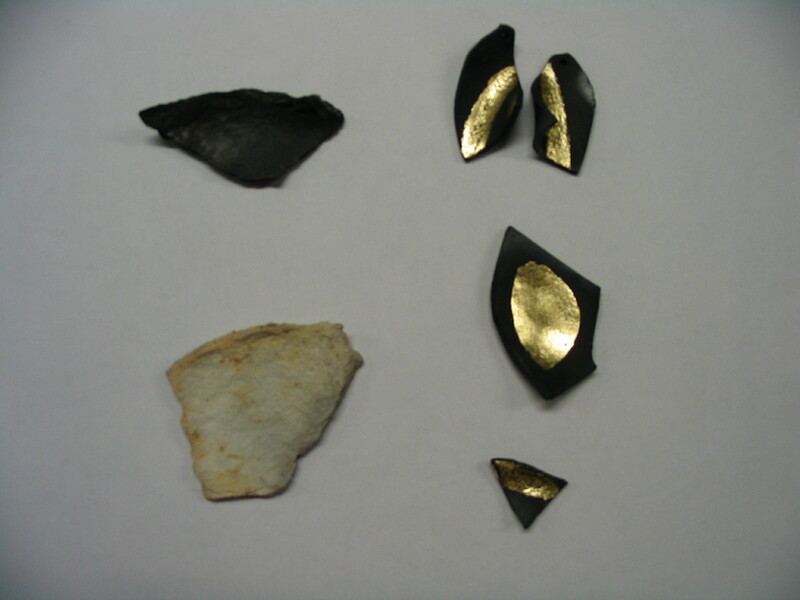 Clockwise from bottom left: A chunk of paperclay fired without reduction, a chunk with reduction, pendants for ear rings with pure gold leaf, brooches with pure gold leaf from the same reduction firing. 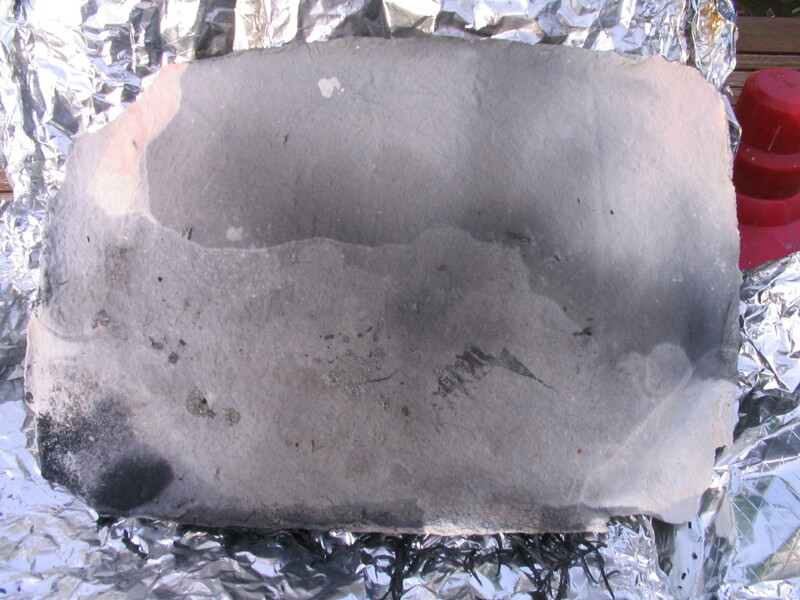 This entry was posted in Ceramics and tagged paperclay, wood burning stove. Bookmark the permalink.